The KTM XC-W SIX DAYS has bodywork with extremely slim ergonomics and excellent contact points between rider and machine. It provides unlimited freedom of movement and has the styling to match this renowned event. KTM engineers know how to handle handlebars. This tapered unit, made of high-strength aluminum by NEKEN, features a newly developed throttle assembly with a robust aluminum body and easy free-play adjustment. An ODI volcanized grip sits on the right, while on the left side of the bar a comfortable ODI lock-on grip requires no glue or wire to secure it. You can now retrofit two interchangeable throttle cams, for different response characteristics to suit your specific needs. The state-of-the-art Keihin Engine Management System with electronic fuel injection features an all-new 42mm throttle body. Thanks to its unique injector position, the engine’s response gives a whole new meaning to the word ‘instantaneous’. And to make life even easier, separate systems for cold starts and idle adjustment await you. Push the throttle back when the engine’s alive and well, and the cold start mode disengages. 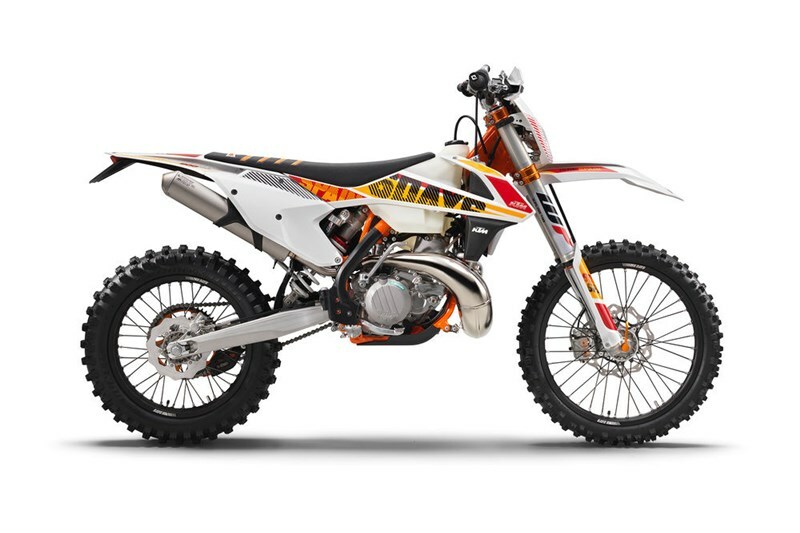 As a proud owner of a SIX DAYS 4-stroke model you can select a stronger power curve and activate the unique traction control system for maximized grip. A bonus mapping via the map select switch on the handlebar, brings even more ferocity to the game. The new generation is fitted with CNC machined, orange anodized triple clamps with an offset of 22mm, ensuring a solid grip of the fork and precise handling. The handlebar is adjustable forwards and backwards over 4 positions, so the EXC-F will fit you like your favorite gloves.